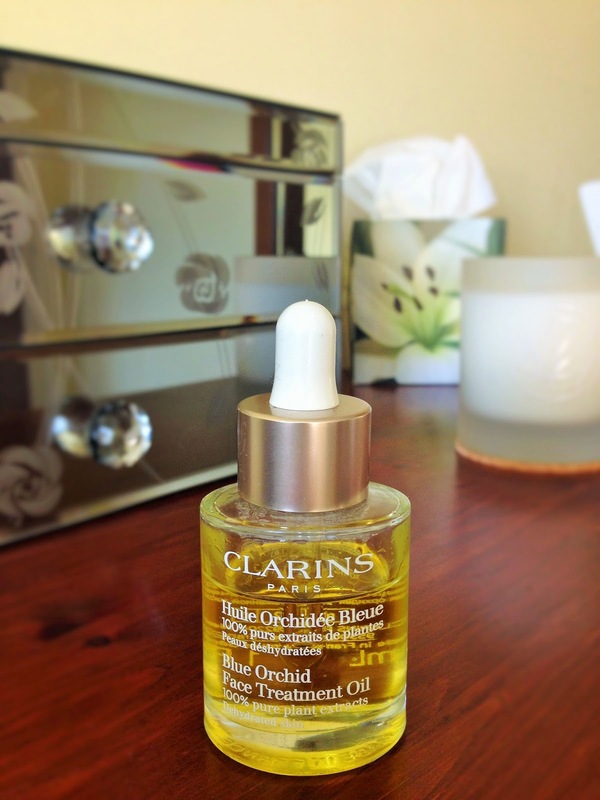 Lately my skin's been feeling softer and looking decidedly more "plumped" than it usually does, and this facial oil from Clarins is definitely the reason why. It was given to me as a Christmas present, but for one reason or another I hadn't got around to trying it until a couple of weeks ago. Since then, I've been wearing it under my moisturiser at night and, so far, my skin seems to be loving it. 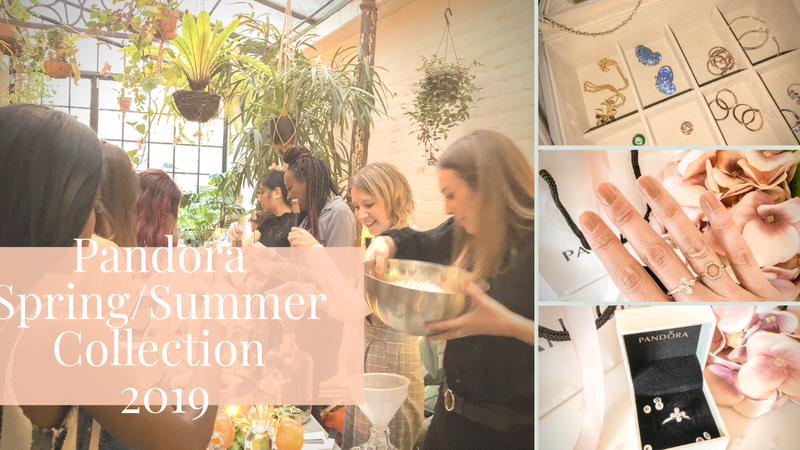 The packaging is nothing special, but the product itself feels like a really indulgent, luxurious treat. While it is quite expensive, a little goes a long way and my 30 ml bottle is likely to last me several months. 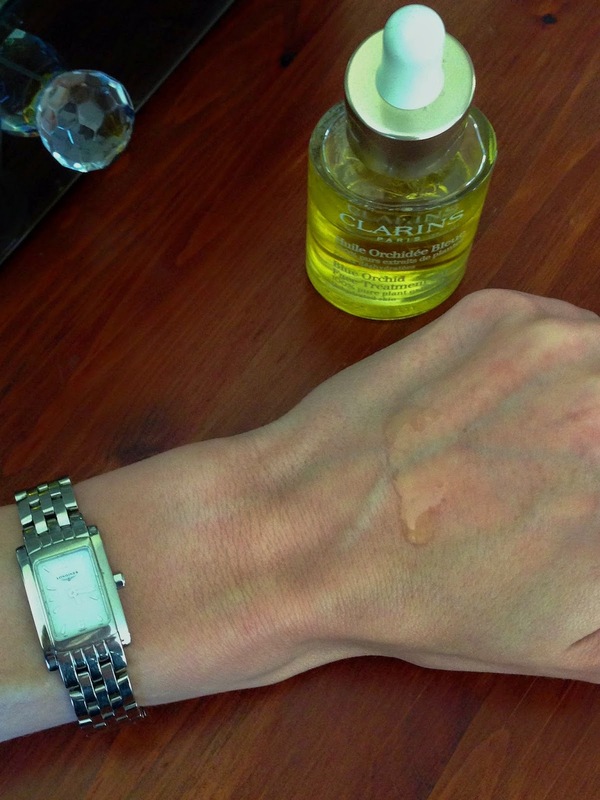 Clarins recommends warming a couple of drops of the oil in your hands before patting it gently into your skin, and that's exactly how I've been applying it. It seems to linger for quite a while before sinking in, leaving a slight filmy residue on my face. Now, in theory, that's annoying, but in practise I really like it. It actually feels pleasant, and reassures me that my skin is getting an intense moisture hit. By the time I wake up in the morning it has been completely absorbed and my face feels soft as silk. A lovely added benefit of this product is that it smells absolutely wonderful. In addition to the blue orchid, it contains patchouli and rosewood oils, so while it lingers on your skin as you snuggle down into bed, you are also breathing in this gorgeous aroma which is so natural and soothing. I'm sure it's helping me drift off to sleep at night. It's almost like getting a bonus aromatherapy treatment on top of caring for your skin. Before I started using this, my skin was feeling quite dehydrated and tends to be dry in general, and indeed Clarins does recommend this product for dehydrated skin. It certainly feels very rich, so perhaps wouldn't be suited to oilier skin types. If yours is dry like mine, however, I would definitely recommend checking it out. 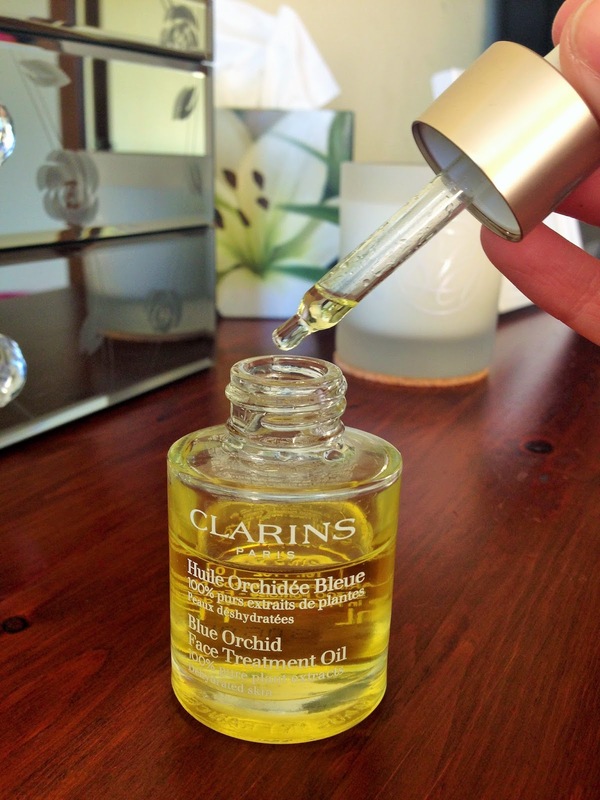 I have used serums in the past and generally liked them, but this is my first experience of using a facial oil and I have to say I love it! Have you tried this oil? Or are there any others you'd recommend? I've got there body oil and really like it. I might actually give this a go... I'm a bit nervy with oily things but out on at night and left to absorb sounds okay!! Thanks for the recommendation! I've got a lovely Elemis body oil that was a gift but have yet to try a facial oil- they've always made me feel a little nervous! After this review I may have to look into it though! Sounds amazing, will need to try it out! I really like the sound of this product, as I have quite dry skin. I look forward to buying it! I love your blog and I have followed you with Bloglovin. If you ever get a chance to look at my blog I would be delighted. Thanks! I've been lusting over this for weeks! Im glad to see you post and see what you really think of it! Sounds amazing and perfect for my rather dehydrated skin. I like how you said it smells nice - I hate overpowering aromas full of rose or herbal scents in other facial oils. I really want to try this- great post! I love Clarins! I've been using them for a few years. 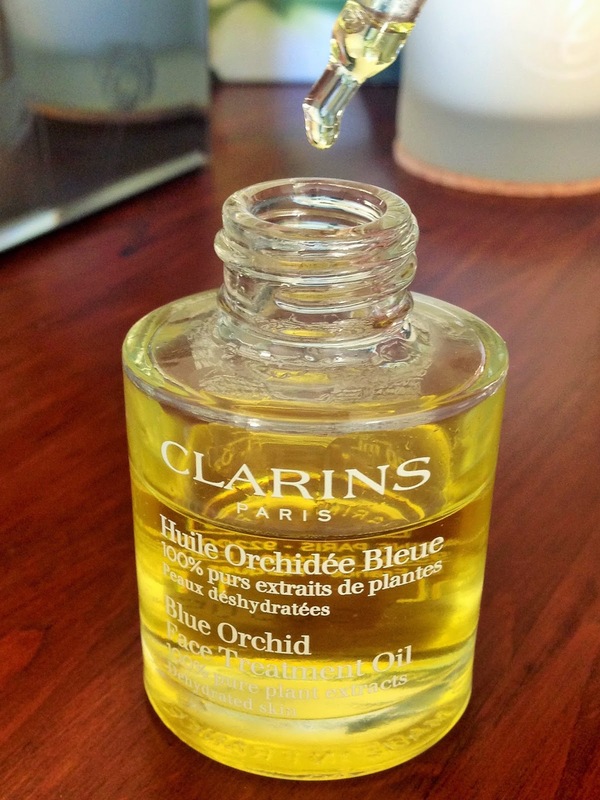 I have never tried there Blue Orchid Oil...it sounds devine! I must give it a whirl once I finish my vitamin E oil.